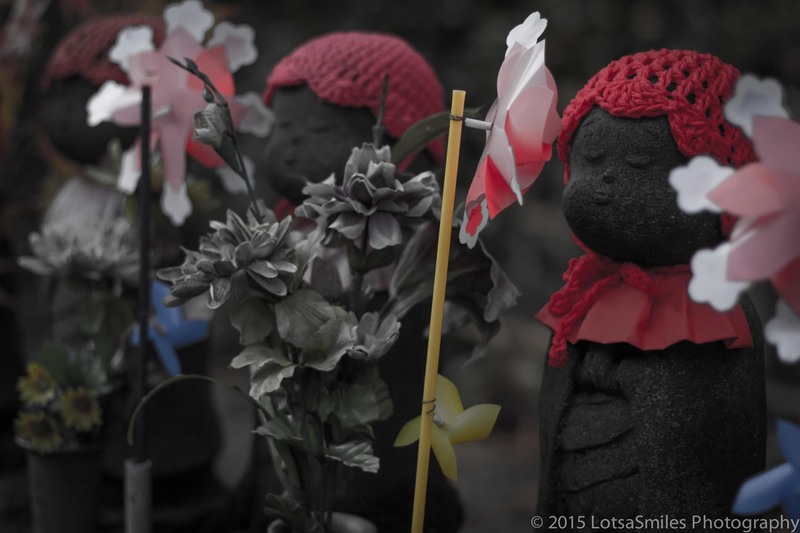 Visiting temples in Japan, you might come across lines of small statues dressed in red caps or children’s clothing. These are Jizou statues, and they are to ease the grief of a passing infant or unborn fetus (and some believe to appease the vengeful spirit). Individuals can rent these statues by the year and dress them. I found this practice of mizuko kuyou very fascinating, though sad. It is used primarily in situations of stillbirths, miscarriages, and abortions (which are unfortunately quite common). Children are precious (and even considered almost gods in their first 17 days), especially with the declining birthrate in Japan, so a lot of care is given when one doesn’t survive. This was one of the most interesting traditions we learned about in Japan. Sad, yet comforting to those who need them.